Are you looking for the best cost of a loft conversion Enfield has to offer? Then you have come to the right place. Firtree Build specialises in transforming lofts into attractive useable spaces for attractive prices – and we’re sure you won’t get a better cost of a loft conversion in Enfield anywhere else. If you would like to discuss the prospect of having your loft converted and want to know what you can get for your budget, don’t hesitate to contact us on 0800 270 7764 for a free consultation. Why do you need a loft conversion? But whatever the circumstances you find yourself in –whether you need extra space or you’re looking to add value- the cost of a loft conversion Enfield from Firtree Build will always be fair, competitive and value for money. 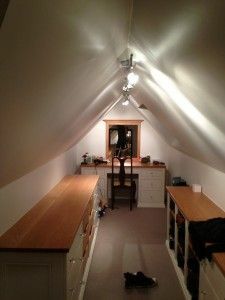 The cost of a loft conversion Enfield can vary, depending on the complexity and size of the job in hand. But when you choose Firtree Build the price will always include all the necessary elements, including electrics and plumbing, so there will be no nasty surprises. It’s a given thing that the cost of a loft conversion Enfield will include the structural calculations. They are imperative to the success of the build and will be accurate to the point with our structural survey and professional architectural planning services. Just because we always give competitive prices for the cost of a loft conversion in Enfield, doesn’t mean we compromise on anything; not the service, not the timescales, not our high-quality finish. When you choose Firtree Build, you will only receive the best standards of service and finish. When we give you our cost of a loft conversion Enfield, it is inclusive of all the necessary paperwork. At Firtree Build, we do things by the book, so we have no problem in giving you all the certificates at the end to say your loft conversion has been completed to industry standard and will pass any inspection. One of the biggest benefits is that 9 times out of 10, you won’t need planning permission as a loft conversion comes under permitted development. The cost of a loft conversion Enfield is often cheaper than an extension too, so when it comes to choosing between the two, a loft conversion is certainly less hassle and more value for money. A loft conversion can be designed for any purpose, whether that be somewhere to sleep or somewhere to take a lovely relaxing bath and while you take enjoyment out of your loft conversion, you can be happy in knowing that you’ve added a whole lot of value to your house too. If you would like some more information regarding our cost of a loft conversion Enfield, or any of the topics covered on this page, don’t hesitate to contact us today. You can see images of our successful past projects in our online gallery.